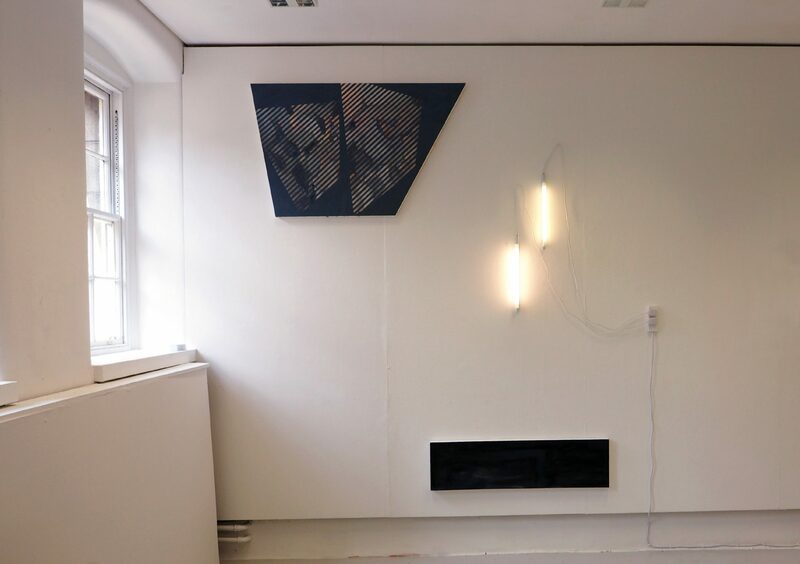 We talk to Farnaz Gholami about life on the Graduate Diploma Fine Art at Chelsea, including the challenges of putting on the degree show and how memory has shaped her work. 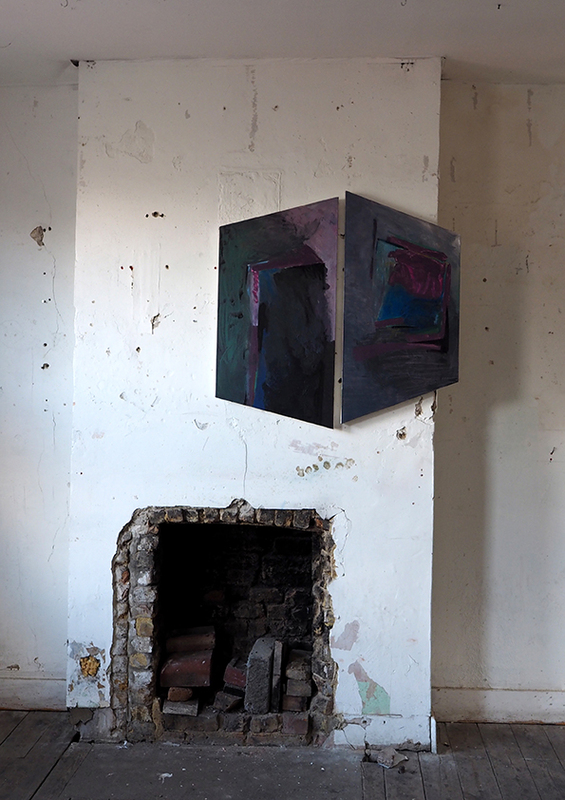 My work for the final show was an installation of 2 shaped canvases and 2 lights on a wall. It was called ‘shading memories’. My practice deals with the memory from domestic interior space of childhood which can have a powerful role in our identities today. 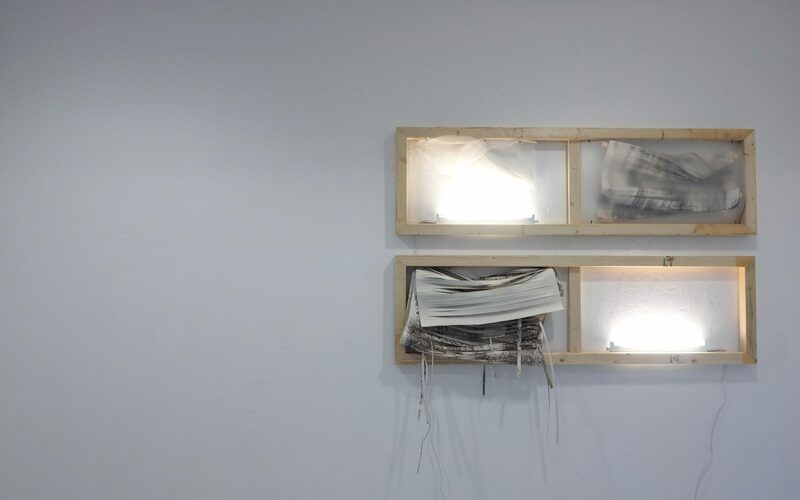 In this installation by demonstrating a reflection of a shadow in an abstract way, and also installation of electric lights with big gap on a white wall, I was trying to deal with how we only remember the fragments of a memory and the rest of the memory is hidden or erased like an empty space between those fragments. The limited time that we had in our course which was right after our off-site show. And curatorial decision as it was a group show. I will continue my education studying Masters in Fine Art at UCL (Slade) and would like to continue my career as an active studio-based artist. The access to all the lectures and workshops and an extra-ordinary resource of books and catalogues in the library. Chelsea’s location is amazing. Being next to Tate Britain is such a privilege and it is just a bus or even a walk to any gallery in the center of London. Trying to see as much as a person can in London is also very important for our practice. Try to make most of their time at Chelsea by attending as many lectures as they can, even if the title of the lecture seems irrelevant to their practice they might learn something exciting. Use the library and try to make art as much as they can. Graduate Diploma is a short and intensive course that if a student put a good energy to it he/she will make a big achievement in the end.